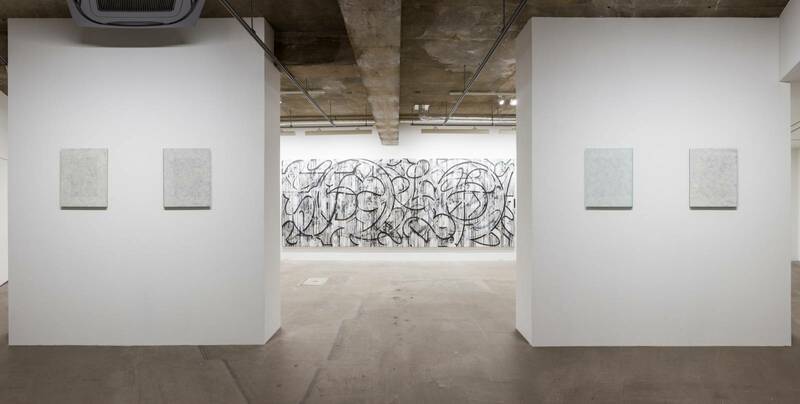 Enrico Isamu Ōyama, known for his signature motif adapted from the visual language of graffiti culture, creates works of namely murals and paintings but extends also to live performances, sound installations, as well as collaborative projects with commercial brands. Graffiti culture, which first arose in New York City in the 70s, was a way to express one’s alter ego through writing one’s name on the streets. As such, there is significance in the names and streets that are tied strongly to one another. To untie such a strong knot, Ōyama first removed the element of alphabetic form, and by reducing them to movements of repetitive lines, reconstructed them into an abstract form. In this way, what used to exist as a name of a writer turns into a continuum of lines, which embodies not only its own name but also its own life. Following this idea, the artist has named, as well as continued to refer to the motif as Quick Turn Structure (QTS). 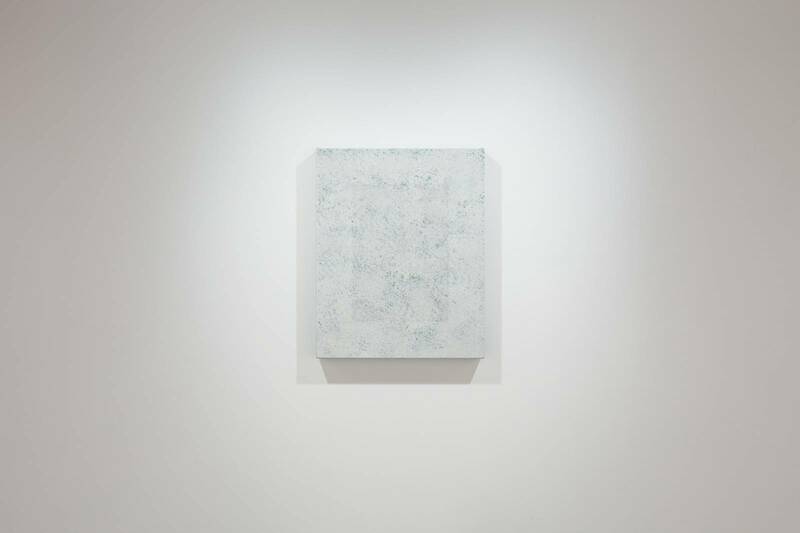 It is however not limited to the streets, but “it is in negotiation with different types of physical, social and conceptual media and each time the traces of its movement attach itself to a medium, it becomes a work that is uniquely present,” states Ōyama. Each individual work is given the title FFIGURATI, along with a serial number. The coined word FFIGURATI – a play on the word “graffiti” – overlaps with the meaning of the Italian expression figùrati (figure it out yourself). 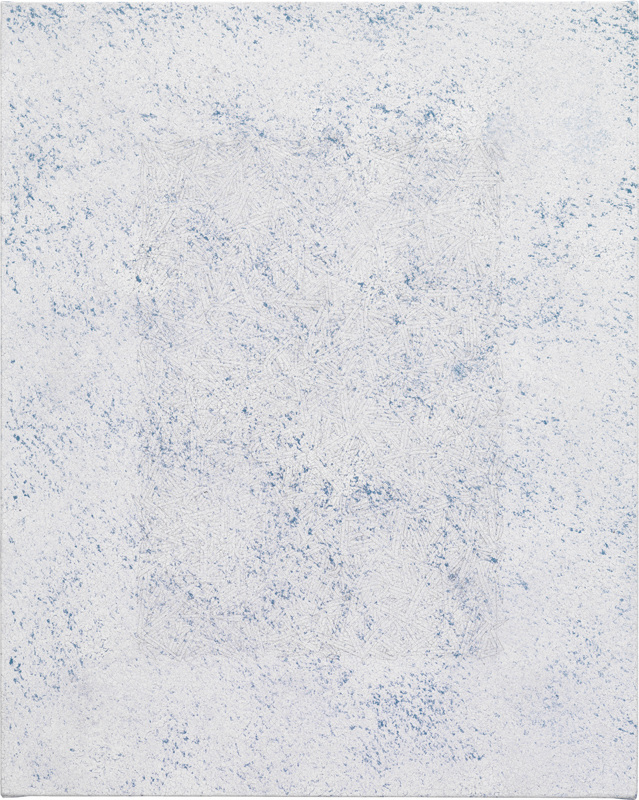 Ōyama has used many of the characteristics of Quick Turn Structure as the title of his exhibitions. The title of this exhibition Present Tense sheds light on the issue of time. Most critics assume that the “I was here” statement in graffiti is evocative of the “past tense”, which overlooks the fact that in the instant which the words were written, the writer was in fact in the present. The literal time frame of the writer is supposed to be “is here”. However, this undoubtedly creates a gap felt by the viewers who will be reading the words in the future. Henceforth, by prioritizing the viewer’s experience, which will be in the future, “is” is transformed to “was” beforehand, so that the delayed viewer is in a consistent time frame. In other words, the disturbance created in terms of time, is resolved and a fictional present is constructed. This fictional present is also something that dislocates the irreversible physical time, which is the sequential flow of the past, present, and future, so that the act of “seeing” will be experienced as a newly organized singularity. Isn’t this the experience of art in itself? The relationship between Quick Turn Structure and FFIGURATI also encompasses the tension between continuity and a uniquely present nature. It is the mutual effect of the iconography that emerges from the integration of the traces of lines and the “now” of the viewer. 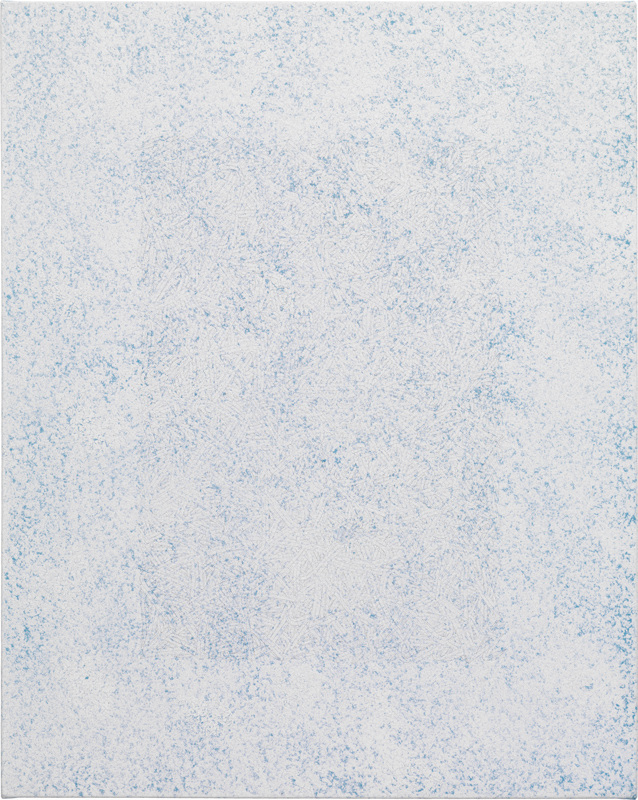 We hope that every time someone views the works, they feel something of their time frame from the surfaces of Ōyama’s works. Born in Tokyo in 1983 to an Italian father and a Japanese mother, Ōyama completed his Bachelor’s degree at Keio University in 2007 followed by his Masters degree at Tokyo University of the Arts in 2009. 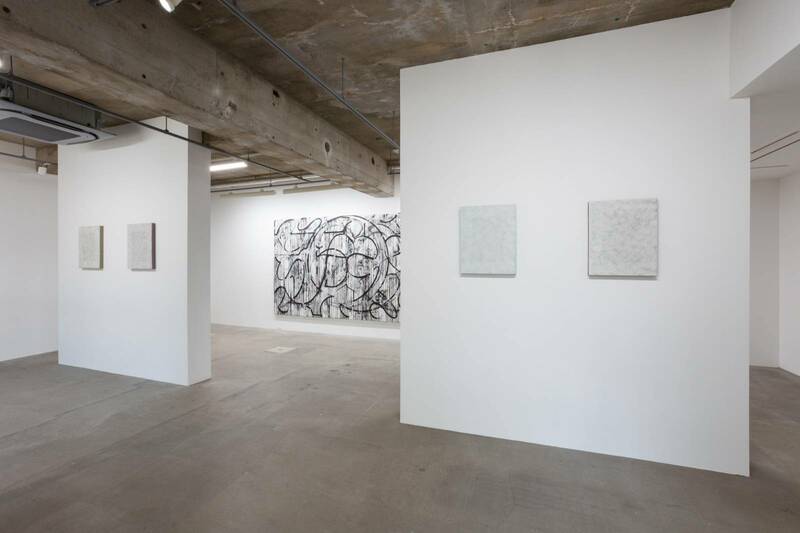 Since participating in a residency program as grantee at the Asian Cultural Council (20011-2012), both New York and Tokyo has become Ōyama’s work base. He has held numerous exhibitions internationally, developing works that diversify with time yet maintain a strong sense of consistency. Ōyama’s 2014 exhibition Quick Turn Structure (Visual Arts Gallery, New Jersey City University, New Jersey), was an exhibition that presented a multi-faceted QTS that crossed over the wall, ceiling, floor, canvas, paper, found objects and video. 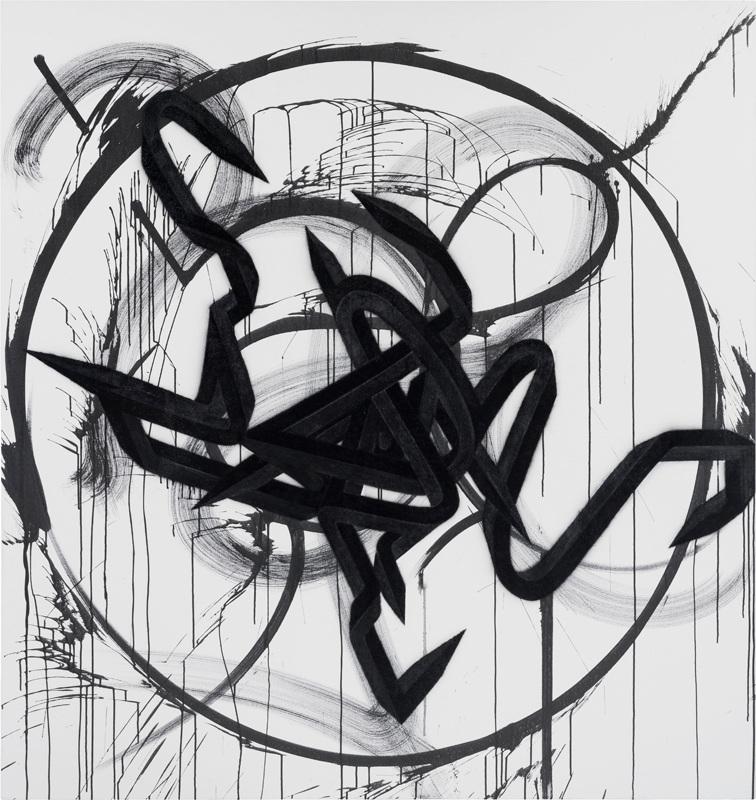 In the 2015 exhibition Improvised Mural (Triangle Space, Chelsea College of the Arts, London), an installation comprising a substantially large space was created through free-hand drawing, a technique the artist cultivated through numerous live painting experiences. 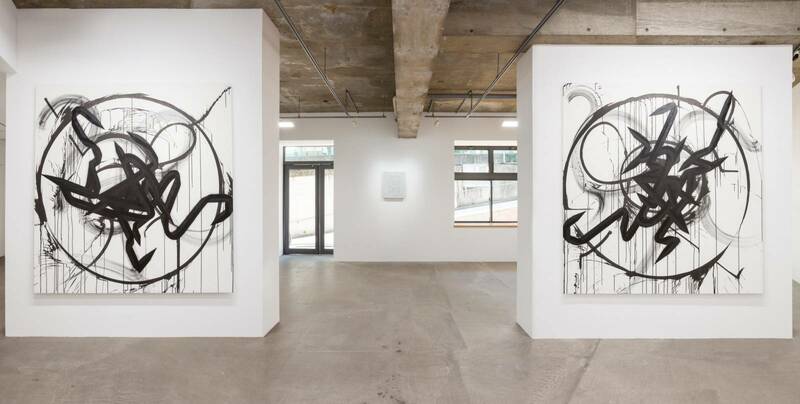 In the 2016 exhibition Like A Prime Number (Daiwa Anglo-Japanese Foundation, London) while using the metaphor of “sequence” and “prime numbers”, Ōyama emphasized the uniquely present nature of FFIGURATI works produced by the introduction of new methods of stencil and airbrush. 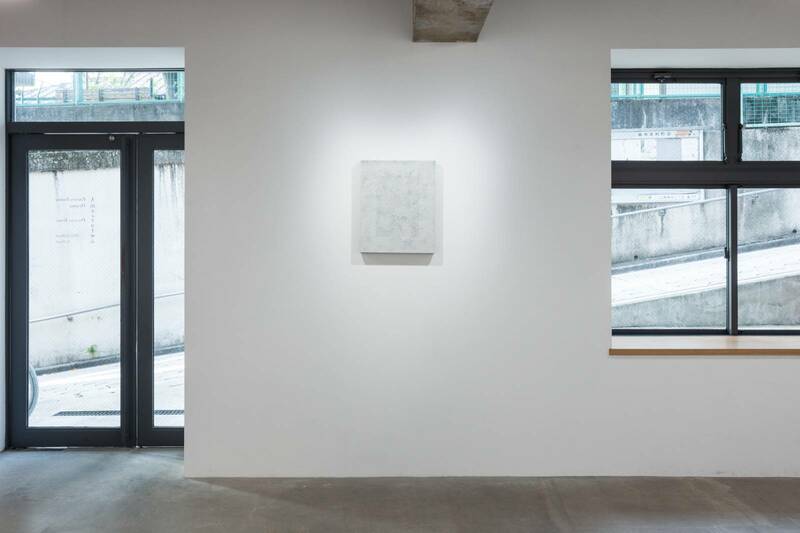 This exhibition Present Tense will be Ōyama’s first official solo exhibition in Japan. 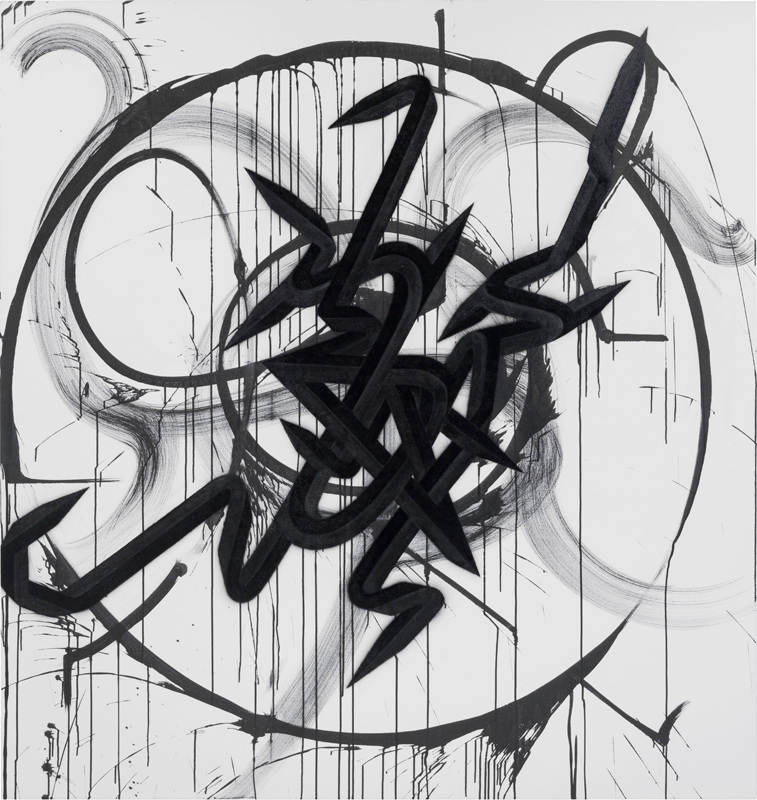 It is composed entirely of his new body of works including one significantly large piece featuring elaborated 84 QTS on a dynamic background of circular motifs named improvised loops as well as a sequence of 5 works where, QTS is drawn in ever so gracefully with a sharp mechanical pencil on top of a texture produced by cracked paint. Both the refined figurative and dynamic performative nature of Ōyama’s works weave into each other and flows all through the exhibition. This occasion we believe will be a great opportunity for all to have an overview of the expansion and development of his works so far.